Have you seen Addi FlexiFlips? These are a great alternative to using double pointed needles. 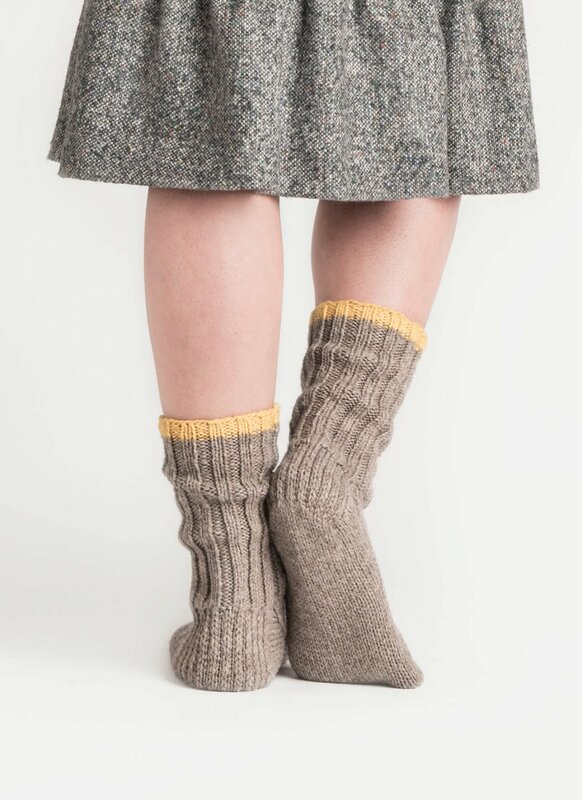 Knit from the top down in Blue Sky Fiber’s Woolstok yarn; a 100% Highland Peruvian Wool, the Sanborn Socks are extremely soft and warm on your feet. This pattern is written for both women’s and men’s sizes. Pick your two favorite colors and let's cast on. Materials: Blue Sky Fibers Woolstok (2-4 hanks of main color, 1 hank of accent color), US4 Addi Flexiflips, US3 double pointed needles to pick up stitches (Flexiflips work here also), and pattern. Pattern is available for purchase or if you stop by on Local Yarn Shop Day, April 27, you’ll get a coupon code to download the pattern for FREE! Skill Level: Intermediate with experience knitting socks. Intermediate with experience knitting socks.